Norin the Wary ($5.05) Price History from major stores - Time Spiral - MTGPrice.com Values for Ebay, Amazon and hobby stores! 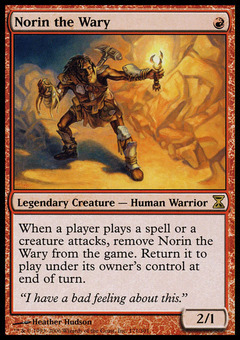 Card Text: When a player casts a spell or a creature attacks, exile Norin the Wary. Return it to the battlefield under its owner's control at the beginning of the next end step. 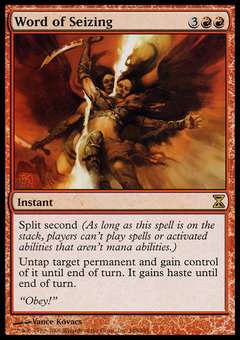 Flavor Text: "I have a bad feeling about this."